Your source for made-to-order fine wood furniture. 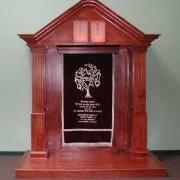 Custom Woodworx specializes in creating exactly what you want. Whether you are looking for a piece of furniture to fit a specific space, to match an existing set or just something you can't find at the big stores, we can design and build the perfect piece of furniture for you. 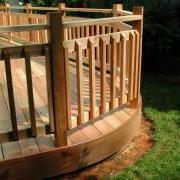 Custom Woodworx also designs and builds decks, covers, sheds, fences, playhouses, and does other remodel work. We are licensed and bonded in Washington state.